Daily disposable contact lenses are the healthiest lens you can wear. There are a number of reasons for this. lenses are made very thin, allowing more oxygen to the eye, giving superior comfort. for those with allergies, allergens do not accumulate on the lens because the wear time is so short. you get a fresh, new lens every day. If you wear two week or monthly lenses, think of the comfort you get when you out a fresh pair of lenses in. With dailies, you get this every day you wear lenses. if the lens comes in contact with any kind of bacteria, it is thrown out and doesn't get a chance to affect the eye. Who Is A Good Candidate For Daily Disposables? Who are daily disposable contacts best for? anyone who wants the healthiest lens possible! People who travel a lot like to wear dailies because of the convenience and the fact that they don't need to take disinfecting solutions with them. Also, if a lens is torn or lost, they usually have spares available. For those who fly, disposable contact lenses can be kept in carry on luggage (as long as they are kept in the specified size of plastic bag that airlines require these days) whereas other types of contact lenses would require solution to be brought, most of which is in too large a bottle for carry on. With allergies that affect the eyes, such as springtime pollen related allergies, daily disposable may be the solution you are looking for. Allergens such as pollen float in the air and tend to stick to contact lenses. If you are allergic to the pollen, and your eyes become red and watery, contact lenses may make the situation worse. As you continue to wear you two week or monthly (or even yearly) lenses, the pollen accumulates day by day and irritates the eyes more. Even when you clean the lens, it is impossible to get everything off the lens. However, with a daily disposable contact lens, at the end of the day, the contact lens is thrown out, and the next day you start with a clean, sterile, pollen-free lens. Nothing to irritate the eye. The same thing happens with other allergies, but pollen is an obvious example. If you are allergic to cat or dog dander, the same thing can happen. Even if you don't own a cat! You can visit a friend who has a cat, even if its in another room, the dander can get into the air, and into your contacts. As much as you might clean them, some of it will still be there the following day, unless you change to a new contact lens. Daily disposable contacts are great for any kind of sports because they are so convenient and you don't need to carry solution with you. Even if you rarely wear contact lenses, you can wear dailies for those occasions that you play hockey, go skiing, or play baseball. In most cases, compared to glasses, your vision will be sharper and you will have better periperal vision. Having glasses on while playing sports is just cumbersome and can make some injuries worse. Swimming and water sports are a seperate consideration. We do not recommend swimming with contact lenses in because of the health related dangers associated with it. Acanthamoeba keratitis is a rare but potentially vision threatening condition. It is more common in those who wear their contact lenses swimming, or in the shower. While we don't recommend it, the reality is that some people with very poor eyesight swim frequently, such as those who race, and they can't wear glasses while swimming. So a compromise is to wear daily disposable contact lenses along with swim goggles. In such a case, the goggles protect the eyes from water. If for some reason the goggles come off, the contact lenses are disposable, and can be removed and discarded after swimming. Daily disposable contact lenses are perfect for anyone who only wants to wear their contact lenses occasionally, for example special occasions, travelling, etc. They are a comfortable and convenient way to wear contact lenses once in a while. You don't have to worry about how old the lenses are, since you get a brand new pair every time. You don't have to worry about if they are disinfected. If your lenses have been sitting in your case for a few weeks or more, you need to disinfect them before wearing them... This means you need to know 6 hours or the day before you wear them, that you will wear them. Daily disposable eliminate this step. While the benefits to wearing daily disposable contacts are many, there are a few drawbacks. Only you can decide if the drawbacks outweigh the benefits. The biggest reason people decide against these lenses is cost. Daily disposable contact lenses are more expensive than other contact lenses. It's is simply because you are getting more lenses. There are ways to reduce your costs to about the same as two week or monthly replacement; it just takes a little planning ahead and research to find the best deals. Often you can find a years supply of contacts at a good discount, whether it be online or at an optical store. And sometimes the manufacturer will offer a mail in rebate, again usually with the purchase of a years supply, or a certain number of boxes. So don't just look for deals when you purchase the lenses; investigate with the manufacturers online to see if they offer rebates. You just need to hold onto your receipt, in case you need to send it in with the rebate. On the plus side, you don't need disinfecting solutions, so you save money there. It's worth it to work out how much you spend in a year on solutions plus contacts, then compare that with a years supply of daily disposable contacts. The flip side to having thin, comfortable contact lenses is that the lenses just aren't as strong as longer wear contacts. 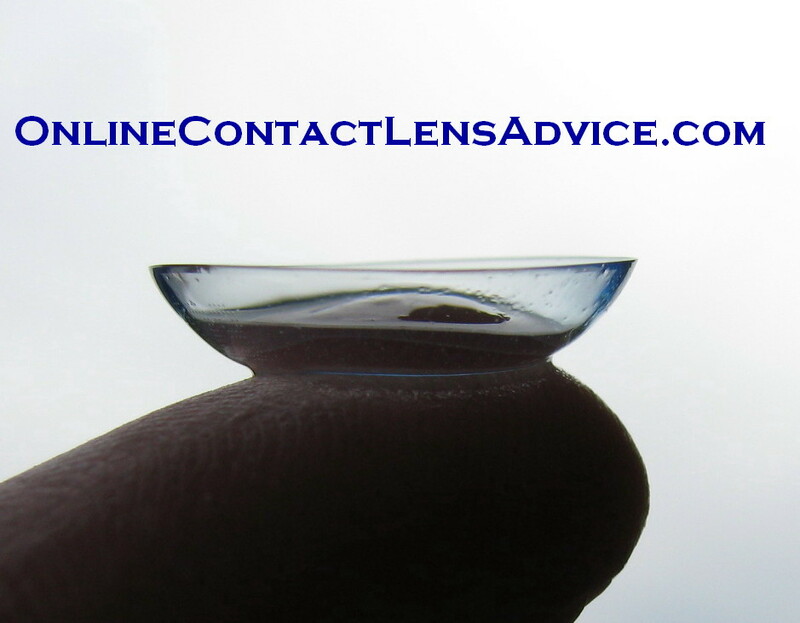 If you have rough fingers, or are new to contacts and have difficulty handling them, or telling of they're inside out or not, these lenses might not be strong enough for you. While they only need to make it as far as getting successfully into your eyes, they do have to make it that far. Also, a thin lens can also lose moisture, and may be dry on the eye. If you find this, do try different daily disposable contact lenses, because some are more moist than others. Daily disposable contact lenses are available in many powers for those who do not have astigmatism or a bifocal in their prescription. But for those who need a toric or multifocal contact lens, these are much more restricted. They are available, but only in the most common powers. Many people these days are concerned about the environment and the waste associated with throwing out not only contact lenses every day, but also the packaging it comes in. This is a very valid concern. You can check with your local recycling agencies, but many will accept the packaging that the contact lenses come in. The plastic is recyclable, as is the foil that covers it. The boxes they come in are all paper and can also be recycled.